How much you benefit from the Pilates Method depends on your commitment and the quality of instruction you receive combined with your commitment to work on your body. At the Authentic Pilates Studio in Lilyfield Sydney, we believe in maintaining integrity of the original work developed by Joseph Pilates. Our practitioners / instructors are certified by the N.Y. Pilates Method, Pilates INC, “Romana’s Pilates” and / or “Authentic Pilates Education International”. To develop their teaching skills, all instructors continue to attend regular workshops as well as annual Continuing Education seminars to maintain their certification. The Authentic Pilates Studio is also a Pilates Teacher Training Centre and as such we have apprentices available for discounted price sessions. The APEI apprentice instructors have successfully completed and passed their Basic / Intermediate exams which qualifies them to teach beginner and basic level clients in a studio setting. Olga has been working in the health and body movement industry on and of for the past 40 years. She was a professional classical dancer with the Australian Ballet Company from 1971 to 1976, then certified as a personal trainer / fitness instructor in 1980. In 1986 she opened “Designing Moves” teaching body conditioning classes and managed the corporate gymnasium at Carlton United. She also taught movement classes to aspiring young actors as well as freelancing as dance coach at McDonald School of Performing Arts. when she experienced classical Pilates that she really found the true essence of the Authentic Pilates Method as developed by Joseph Pilates more than 90 years ago. Impressed by the authenticity, quality and integrity of the Pilates Method of Body conditioning, Olga was motivated to study the method and became a certified instructor of “The New York Pilates Method” and “Romana’s Pilates”. 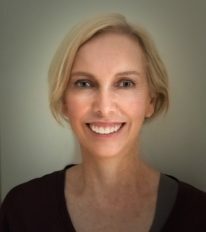 Olga is founder and principal trainer of “Authentic Pilates Education Australia” teacher training programme in the classical Pilates method and also manages her studio in Lilyfield NSW (Authentic Pilates Studio). OTHER BACKGROUND: Olga spent her early years travelling the world as a classical dancer with The Australian Ballet Company. She danced on stage with greats such as Margot Fonteyn and Rudolf Nureyev and danced in the Australian Ballet’s film production of “Don Quixote”. 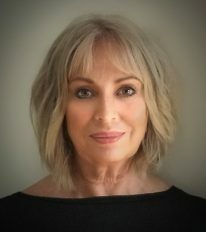 She resigned from the Australian Ballet Company in 1976 to pursue an acting career performing on stage, film and many television series including Cop Shop, Holliday Island and Chopper Squad to name a few. Olga’s first acting role in the ABC series “Glenview High” won her and ABC TV “Penguin Award” for the Best New Talent 1978. Olga joined the Australian Ballet Company as guest artist in the 2006 Sydney season of Giselle. Her performance as “Bertha” marked Olga’s first appearance with the company in 30years. Olga continues to perform as guest artist with the Australian Ballet Company. A keen sportsman, Nic began Pilates in 2001 as a way to prevent muscle soreness, injury and back pain caused by weight training and sports such as surfing and basketball. “I wanted to improve my flexibility and become more in control of my movement. As soon as I took up Pilates I could feel the benefits and decided to dedicate more time to understanding the authentic method”. It wasn’t long before I became interested in the art of body control and how the biomechanics of our bodies affect activities in our everyday life”. Nic soon discovered the benefits of the Pilates Method in his own body and undertook a rigorous training course with Cynthia Lochard to become a full time Pilates instructor. He was fortunate enough to undertake his apprenticeship and study with the assistance and supervision of some of the best instructors available. After completing his advanced component of the Pilates course in 2004, Nick took up teaching full time. Nick has been an instructor for the Authentic Pilates Studio for 8 years. Kristy was first introduced to Pilates in early 2010 after the birth of her second child. She quickly developed a passion for the classical Pilates method after seeing results in her own body, this inspired her to train and pursue a career as a Pilates Instructor. 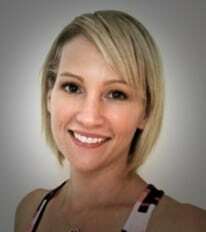 Kristy has completed the Diploma of Professional Pilates Instruction (91491NSW) and Authentic Pilates Education of Australia Teacher Training program and is recognised as a Professional Pilates Instructor of the Authentic Method. She regularly participates in Continuing Pilates Education seminars to refine her skills and keep up to date with the latest in the industry, recently attending the Valencia Classical Pilates 2014 Conference in Spain, with Kathi Ross Nash, Peter Fiasca and Brooke Siler. Certified – Authentic Pilates Education of Australia Teacher Training. Certified – Diploma of Professional Pilates Instruction (91491NSW). Member of Pilates Alliance of Australia (PAA). 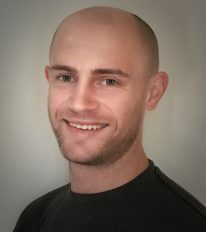 After two years as a client Paddy decided he wanted to learn more about the Classical Pilates Method and he began his apprenticeship with Authentic Pilates Education International in 2012. After over 600 hrs. 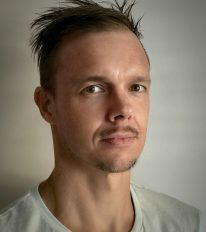 of study and training, Paddy certified with APEA early 2014 and also holds his government accredited Diploma in professional Pilates instruction. Paddy is committed to the Authentic Pilates method and continues his studies and continuing education workshops. Diploma – Professional Pilates Instruction (91491NSW). 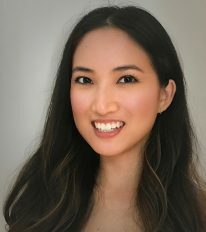 Jessica first discovered Authentic Pilates in 2014 when she was searching for something to improve her overall health and fitness, as well as her stress levels. Not long after, Jessica decided to take on the Authentic Pilates Education Australia apprenticeship full time; committed to make this new discovered passion her career. In 2012 she graduated in a Bachelor of Health, and gained two years experience working in an IT company as an Instructional Designer and later as a Relationship Manager. 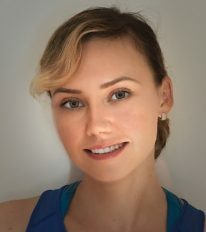 After eighteen months of intensive training in the classical Pilates method, with over 1000 hours on study and training, Jessica was certified in Authentic Pilates Education with a government accredited Diploma in Professional Pilates Instruction. Jessica attends Continuing Pilates Education seminars and workshops to stay-up-to-date with industry standards and skills. Certified – Authentic Pilates Education International . (APEI) Teacher Training. Before Marina decided to become a Pilates instructor she had been doing Pilates as her main form of fitness for over 6 years. She continued doing Pilates all the way through her pregnancy. Keeping up her training until the week before the birth of her son. Marina became very passionate about the system during this time and decided to undertake the APEI Teacher Training Course once her son began pre school. Robyn began taking Pilates classes in 2007 as a way of improving her balance and strength. While there were some obvious improvements, she wanted to delve deeper into the work. Being a keen researcher, Robyn discovered Authentic Pilates, where she was introduced to Olga Tamara and the classical method. That was when she really started to see and feel a real physical transformation. The idea of helping people like herself become strong, agile and in control of their bodies was what inspired Robyn to train as a teacher at Authentic Pilates Education under Olga’s guidance. “There is huge a misconception that classical Pilates is just for ballet dancers, but that couldn’t be further from the truth. I have seen people of all ages and backgrounds benefit immensely from the method. My ultimate goal is to teach classical Pilates to the older generation as a preventative measure to injury and as a means to a enjoy healthy, happy and productive life”. Completed APEI basic and Intermediate level tests. Associate Member of Pilates Alliance of Australia (PAA).